The U.S.-led coalition in Iraq and Syria has helped to train the Kurdish Peshmerga militia to become better at urban operations and fighting on flat terrain against Islamic State, a clear departure from those old campaigns it waged from the mountains against the Iraqi army. The Peshmerga is closer than ever to being a conventional army. Should it go all the way? The Peshmerga remains a divided force. Approximately 42,000 of the Kurdish troops are under the command of the autonomous region’s Peshmerga Ministry, while approximately 58,000 are loyal to the Kurdistan Democratic Party and another 58,000 answer to the Patriotic Union of Kurdistan. The coalition directed its funding and arms to those Peshmerga under the command of the ministry in order to help establish conventional brigades for fighting ISIS. “We don’t try to change their system, we just try to improve what they already do, to make them a little bit more efficient,” one German military instructor told War Is Boring. It’s questionable if transforming all of the Peshmerga forces in Kurdistan into a conventional fighting-force would actually enable the Kurds to adequately defend their region. Potential threats could include an attack or invasion by Iraq, possibly following any Kurdish secession or as a result of some internal conflict, or any of the neighboring states — all of which possess larger armies and more sophisticated weapons than the Kurds do. The heaviest weaponry in the Peshmerga arsenal is a few old T-55/62 tanks that the Kurds captured from Saddam Hussein’s army, along with some Humvees and MRAPs supplied by the coalition. With no air force and hardly any air defenses to speak of – we’re talking about probably little more than vintage Soviet-era ZU-23-2 twin-barreled anti-aircraft cannons – this equipment would hardly enable the Peshmerga to prevail against Iraqi armored columns and F-16s, to say nothing of the Turkish or Iranian armies. Furthermore, the Iraqi Kurds cannot realistically expect the United States to help build up and train their forces to a standard that would enable them to hold their own against the Iraqi army, nor any other neighboring armies. The United States doesn’t supply arms to the Peshmerga without Baghdad’s approval. It’s certainly in Iraqi Kurdistan’s interest to establish conventional Peshmerga brigades. But the region also needs to have forces ready to fight a protracted guerrilla war in the event an outside power invades the landlocked region. The historical record aptly demonstrates that the Peshmerga always fared better against its traditional enemy in Baghdad using guerilla tactics than it ever did by conventional means. This is one reason that, in the First Iraqi-Kurdish War from 1961 until 1970, the Iraqis were unable to decisively crush the Kurdish resistance. 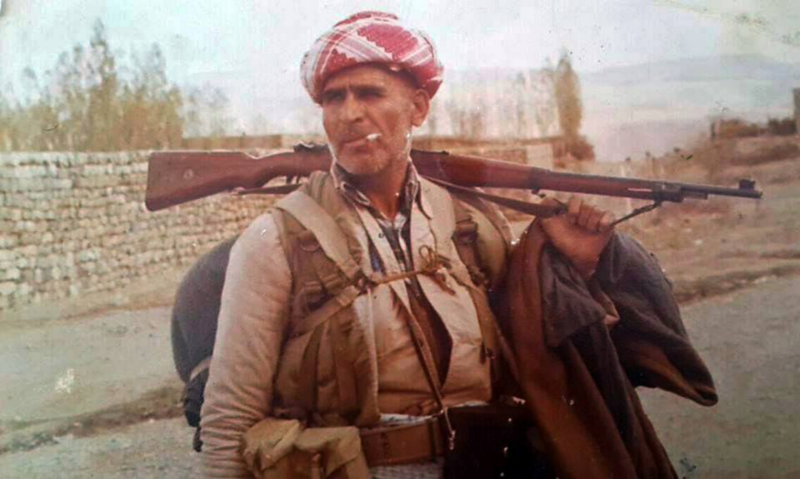 In the Second Iraqi-Kurdish War in the ’70s, however, the Peshmerga fought more like a conventional force to defend its territory — and suffered a calamitous defeat. This historical precedent is a prime example of why the Peshmerga can never afford to completely forsake its origins as a guerrilla force. When ISIS declared its caliphate in the summer of 2014 it also had to fight almost like a regular army rather than relying on more elusive hit-and-run guerrilla and terrorist attacks, and consequently found itself outgunned and ultimately lost the vast majority of the territories it had conquered. When the Kurdistan Workers’ Party in late 2015 briefly abandoned its strategy of hit-and-run attacks against Turkish military units in southeast Turkey and sent its forces into Kurdish cities to fight like an army, it was quickly outgunned, overwhelmed and defeated by the larger and better-equipped Turkish force. While the PKK did garner a propaganda victory, it nevertheless failed to achieve a battlefield one. On the other hand, every time the Turkish army has failed every time it has tried to directly assail the group in its mountainous bases in Iraqi Kurdistan. Given its own dire experience in the mid-1970s and these other more contemporary examples, it’s clear the Peshmerga can’t afford to become a conventional force.